“Look, we have passed an order.100 people cannot create some problem in a particular area and the state cannot say there is a law and order problem. Let us not come to a stage where exhibition of a movie of this nature after issuance of certificate is crippled. Let those who don't like the movie not watch it" CJI Dipak Misra. 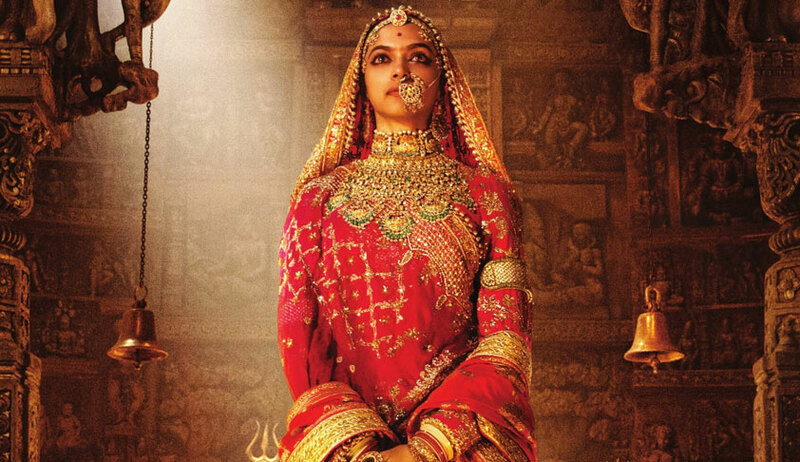 The Supreme Court today refused to recall or modify its January 18 order by which the ban on screening of controversial movie 'Padmaavat' in four states was staying the notification to that effect. Madhya Pradesh and Rajasthan had moved the bench headed by Chief Justice Dipak Misra seeking a modification of the stay order claiming that section 6 Cinematograph Act empowers them to stop exhibition of any controversial movie on the grounds of possible violation of law and order. “We are not inclined to entertain the applications for modification. We find no merit", the bench said rejecting all arguments advanced by ASG Thushar Mehta who appeared for the two states. 'Look we have passed an order.100 people cannot create some problem and the state cannot say there is a law and order problem. Let us not come to a stage where exhibition of a movie of this nature after issuance of certificate is crippled" said CJI Misra. "Let people who don't like the movie not watch it.We are not going to modify our order", he said. When ASG Mehta said "if an occasion arises we should be allowed to stop screening in some areas on ground of public order”, Justice A M Khanwilkar said "you are pre-empting law and order problem. First implement our order and then come to us if there is a law and order problem". "It is implicit in your argument that you cannot handle law and order problem", said justice khanwilkar. Justice D Y Chandrachud chipped in to say " your whole petition is based on the premise that the film is a distortion of history"
Bodies representing the Karni Sena and Kshatriyas also moved the Supreme Court for the first time against SC staying the notification banning the screening of the movie in four states. There was a lively exchange in the courtroom when advocate A P Singh, representing the Karni Sena and Akhil Bharatiya Kshatriya Mahasabha said a film must be “made for uniting the society and not to break it”. “For us it is an emotional issue and there is lot of sentiments involved. Our people are fighting at the borders. For them also it is an emotional issue as their sentiments have been hurt”, said Singh. Emphasizing on "right to freedom of speech and expression", the bench had on January 18 stayed the order issued by Gujarat, Rajasthan, MP and Haryana banning Screening of the controversial movie. The movie is expected to be released on January 25. The stay order had come on a petition filed by its producers Viacom18 Productions. "The order is in due regard to right to freedom of speech and expression", the bench had said on Jan 18 brushing aside fervent plea by ASG Thushar Mehta who appeared for states and said CBFC while giving clearance might not have considered possible breach of law and order, public order and sought and adjournment to seek further instructions. The bench had said the states cannot ban a movie citing law and order problem and they were constitutionally obliged to maintain it and prevent untoward incident. The CJI, during the hearing, cited several plays, books and in particular classical Indian literature to maintain that if everything was to be questioned in this manner, "60 per cent of classical Indian literature may not even be read today." Justice Chandrachud, who is from Maharashtra, also cited his own experience. "Years ago, there was a play in Marathi called 'Mee Nathuram Godse Boltoy' which was sought to be banned by the state but the High Court said it is the state government's duty to maintain law and order," said Justice Chandrachud.